The Brighouse and Rastrick Band is regarded by many as the best and most consistent ‘public subscription band' in the world. In its time the majority of premier band championships have been held by ‘Briggus' whilst the band has also attracted a formidable reputation for highly entertaining concerts for both the general public and brass band connoisseur. The band was formed over 130 years ago through public donations given by the townsfolk of the adjacent villages of Brighouse and Rastrick that face each other across the River Calder in West Yorkshire, England. 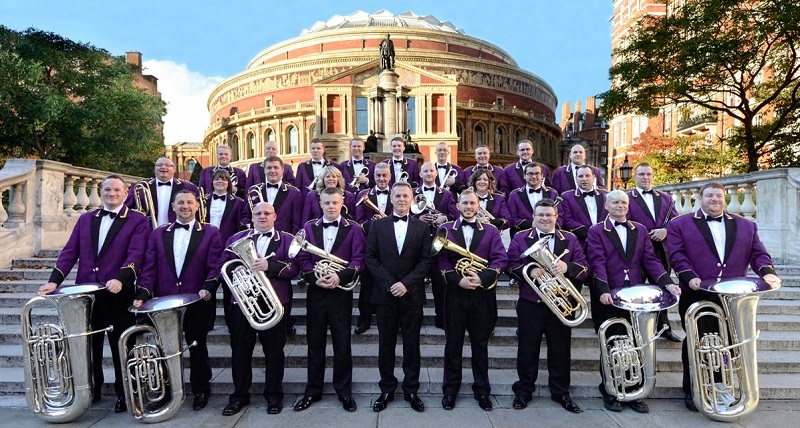 Down through the years B&R have won many English, British and European Brass Band championships and created new records by being the first band to hold all three championships concurrently. The band continues to make its mark on the new century with all the promise that holds, whilst maintaining their great traditions and continued quest for musical excellence. With over 130 years of proud history behind them, the band is still fiercely financially independent and beholden to no one else other than itself. Today, it still continues to be supported through public subscriptions and its own fund raising efforts. Its amateur members traditionally pride themselves on being financially independent, never having been beholden to any commercial interest, yet they are still regarded as one of the ‘elite' on the contest and concert platforms. A more unusual and unique success came the bands way in 1977 when for nine weeks they were at No.2 in the British ‘pop' charts with their recording of ‘The Floral Dance'. This was a musical arrangement of the well-known Katie Moss song with strong Cornish associations, made by resident conductor, Derek Broadbent. Doggedly held off the top spot by Paul McCartney, they still achieved sales of over a million, earning both Gold and Silver discs and attracting fame well beyond the UK. ‘The Floral Dance' has now become the band's ‘unofficial' signature tune, alongside the long established ‘official' signature tune, the March ‘West Riding' composed by Sam B. Wood and based on the famous Yorkshire anthem, ‘Ilkla Moor'. November 2015 sees the B&R performing on a short Irish tour for the first time in their long history. The band will be appearing at the Royal Theatre in Castlebar on Sunday 22nd November.